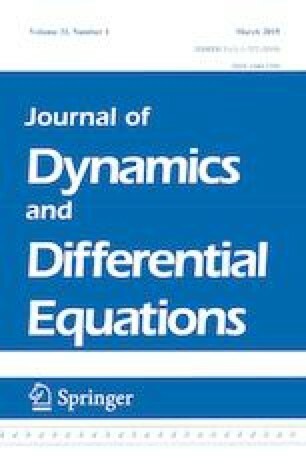 through the relation with a certain class of generalized ordinary differential equations introduced in Federson and Schwabik (Differ Integral Equ 19(11):1201–1234, 2006) (we write generalized ODEs), using similar ideas to those of Federson et al. (J Differ Equ 252(6):3816–3847, 2012). By means of the correspondence with generalized ODEs, we state results on the existence, uniqueness and continuous dependences of solutions for our equation of neutral type. M. Federson: Supported by CNPq Grant 309344/2017-4 and FAPESP Grant 2017/13795-2. M. Frasson: Supported by CNPq Grant 152258/2010-8. J. G. Mesquita: Partially supported by CNPq Grant 407952/2016-0 and FEMAT-Fundação de Estudos em Ciências Matemáticas Proc. 039/2017. P. H. Tacuri: Supported by CNPq Grant 141947/2009-8.